Introducing a new search system that helps you and your visitors to find the relevant results more quickly and accurately with best practices UX. 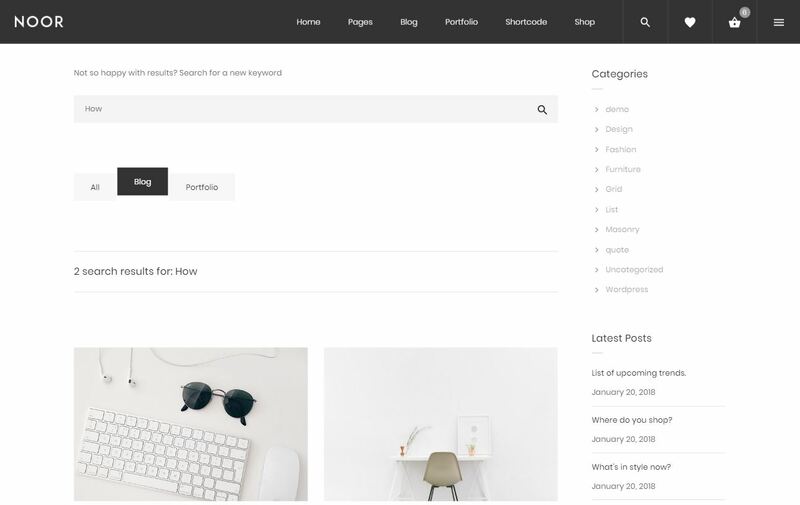 Today we are introducing a new search system that makes your search results more accurate, unlike any other theme, Noor gives you the more flexible to search by the post type ( Post, Page, Portfolio, Products (EDD) ) out of the box. 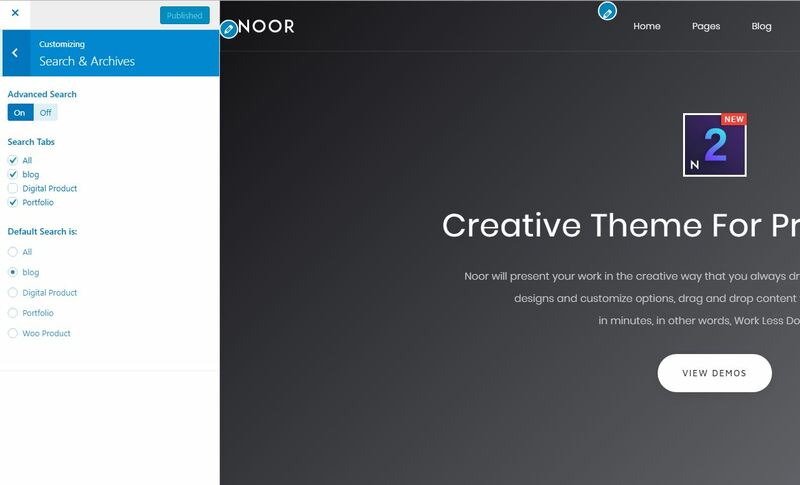 In this blog post, we will show you how to use Noor Search that you can use it out of the box without third-party plugin required. Filter your results depend on your Post type ( Pages, Blog Posts, Portfolio, EDD Easy Digital Downloads ). Support for Easy Digital Downloads. One Search Box for all. Active Advanced Search: Customize ⇒ Search & Archives ⇒ Advanced Search. If you want to add multiple searches and show the search tabs, you need to make “Advanced Search” on. How can I change the search result content style? We aim to make it easier than aver so we decide to give the user all the options he need without adding it into the customization, the user can use any custom short-codes created by the page builder. Open a new page and add your element ( Blog or Portfolio or a Download item EDD ), select the options you decide ( style, column, title position … ) make sure to leave the Post Count empty and active the Pagination page. 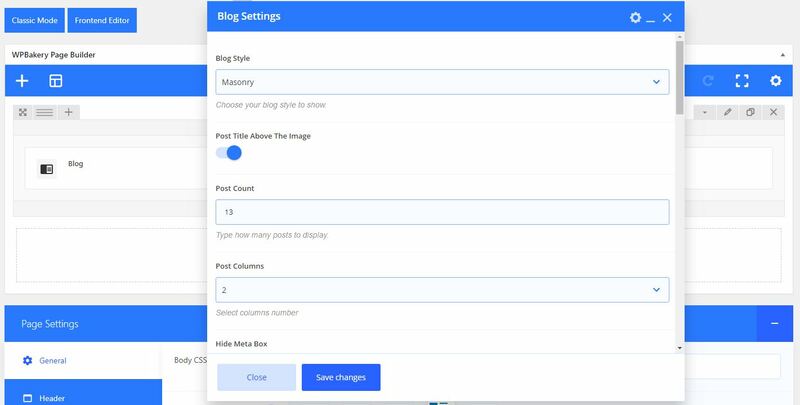 After you create your content using the page builder click on Classic Mode button and copy your short-code that start by [ blog into the close tag ] for the blog results, this code you will use it into the next step. We are going to use those short-codes with an add_action with a Child-Theme or plugin called My Custom Functions we prefer using the child-theme read here why. After you copied your short-codes on Step 2 now you need to replace it on the code below exactly on do_shortcode(‘ add your new short-codes here’). The new Search is available today, so download Noor and take it for a spin. Let us know what you think in the comments. I just installed the Noor theme today. The search doesn’t seem to be working right, though. When I search “magnesium” my magnesium article doesn’t show up until page 2 of my results. Any idea on how I can improve the search results?